So by now you probably know I kinda have a thing for Super Heroes. I used to blame it on my kids but I'll fess up and admit that I love them too. There's just something about the colors, the super powers, the stories, etc that makes me fall into the various super hero fandoms like so many others. 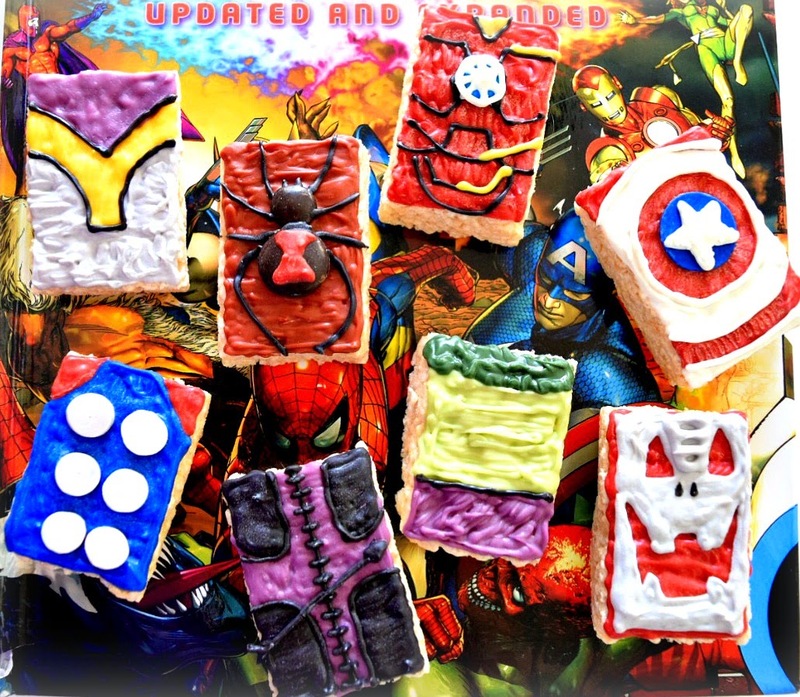 If you check out the side bar menu you can see I've made quite a few super hero treats. 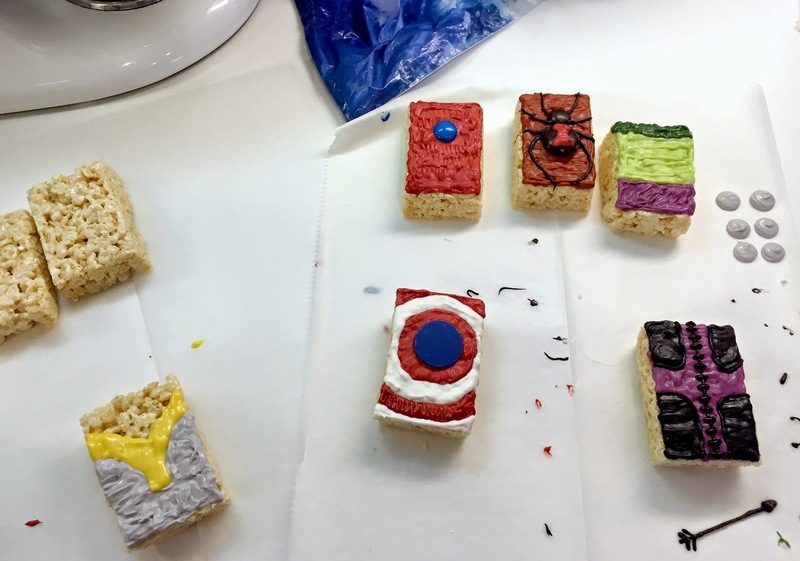 These Rice Krispies Treats fit right in since they are for the new Avengers Age of Ultron movie coming out soon. I started with Rice Krispie Treats which I found at my local food store, Shop Rite. You can find them in the aisle with other snack bars and fruit snacks. Every time I see them it brings me back to being a little kid. I remember everyone's fav treat was Rice Krispies Treats and it was a huge deal when we had them back in the day. They still put a smile on my face when I see them! They also make easy and super portable school treats, especially with so many nut/peanut and gluten allergies. 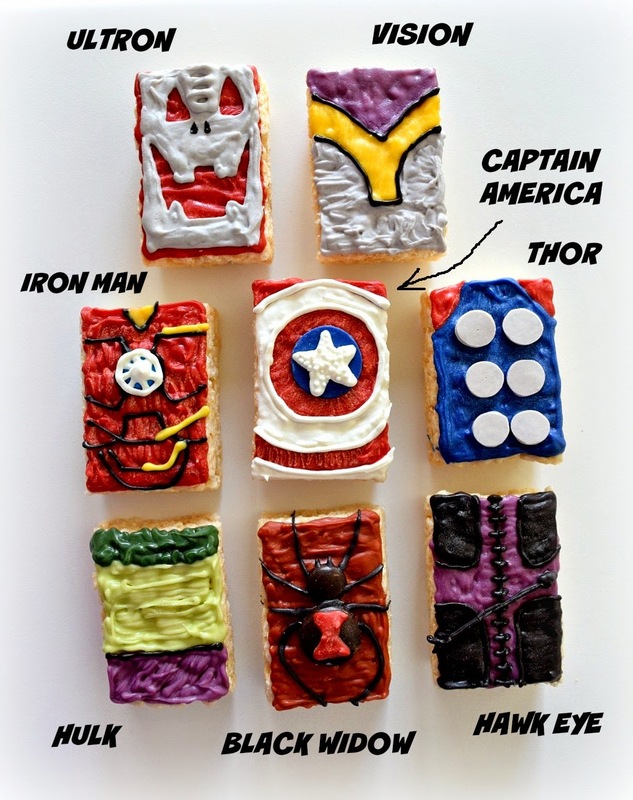 These pre-packaged ones definitely speed up the process of making these super hero'ed up treats. 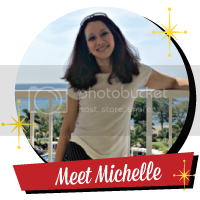 Start with your blank "canvas"
Print out some pictures of your favorite super heroes - either the hero logo or other familiar details. I went with an Avengers theme, but go for your fav characters! I have all sorts of colors of melting candy wafers/melts so I used them as my "paint". I put some candy melts in a freezer baggie and microwaved it for about 10-20 second intervals until just melted. Then snip an end of the baggie and "pipe" on the detail. To layer colors, wait until the first color is dry. It only takes a minute or 2, depending on how thick you add the color. I also did Ultron and Vision, 2 of the new characters from the Age of Ultron movie due out this May. Hopefully you'll recognize the others! We love RCTs on their own and these were a huge hit not only with the kiddos but the adults here too! If you like these treats, please visit the Rice Krispies Treats contest page and enter to win by voting for your favorite entry! 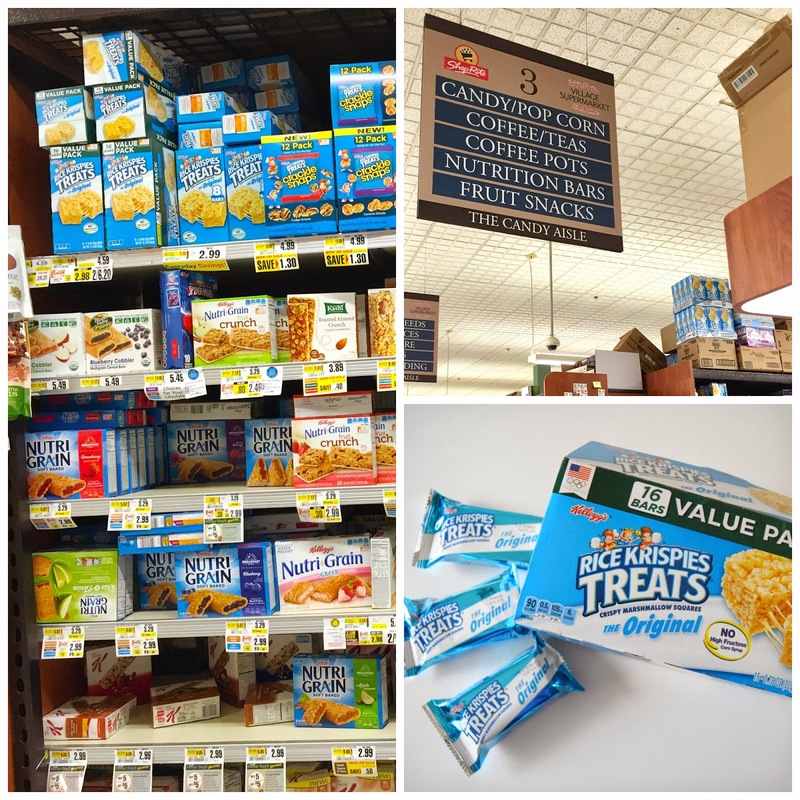 Eligible entrants will vote on their favorite Kellogg’s® Rice Krispies Treats® recipe on the Kellogg’s Family Rewards® Website and via various social media platforms to be entered into a random drawing for a chance to win prizes. To enter via Twitter, Pinterest and/or Instagram, go to any of the Social Platforms and include the hashtag #RKTreatSweeps and the name of the Treat recipe you’re voting on in the copy of your post. Visit the Rice Krispies Treat page for more details and Good Luck! 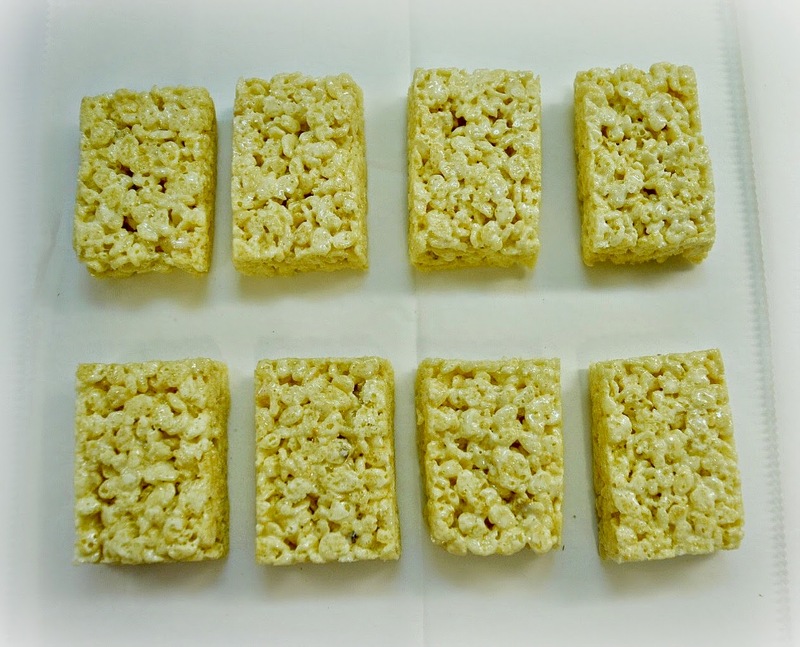 What neat ideas have you had for Rice Krispies Treat Snacks? Or do you like them plain and straight out of the package? Find pictures of your favorite superheroes (either logos or familiar details). Add ¼ to ½ cup of candy wafer to a quart sized freezer baggie. Microwave in 15-20 second intervals until candy is just melted. 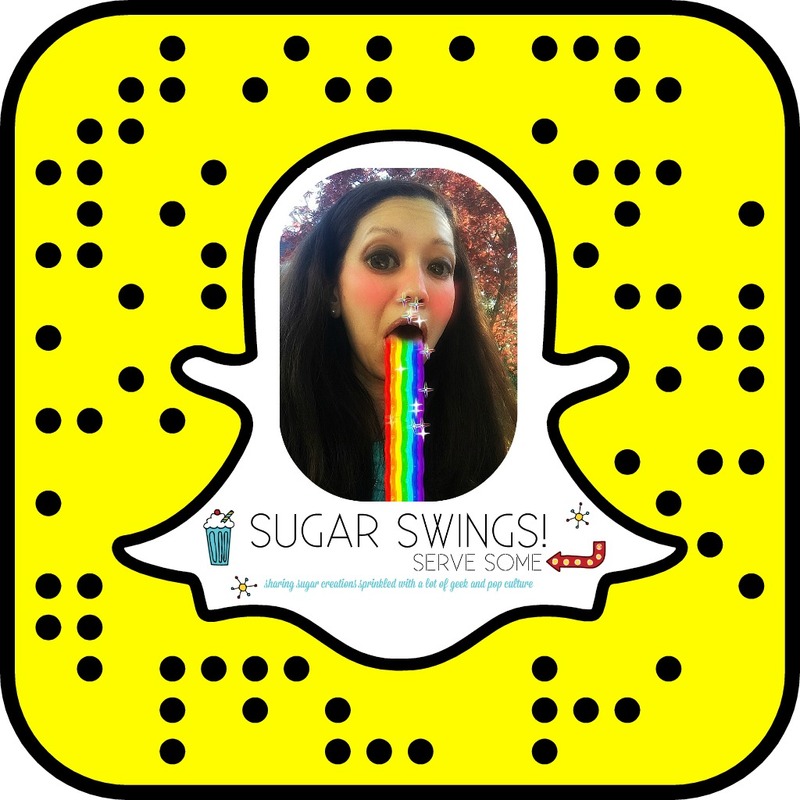 Do this for each color when you are ready to use it. Snip a small end of the corner of the baggie and “pipe” your colors on. If the candy hardens, re-microwave for 10 seconds. For Iron Man: Use red candy to cover the entire treat. Add blue M and Ms as his core while candy is still wet. Once red candy is hardened add detail with black, yellow and white melted wafers. For Thor: Use gray candy to make buttons for his chest plate on parchment paper and let harden. Use blue to cover entire treat. Add some red in the corners and add the gray candy “buttons” while blue candy is wet. For Black Widow (or you can do Spiderman similarly): Use red to cover entire treat. Add a large brown mega M and M and small plain brown M and M while candy is still wet. Add spider legs with brown or black candy melt and red for Black Widow’s logo on the spider’s back. For Hulk: Add purple (bottom), light green (middle) and dark green (top) candy melt to cover treat. For Captain America: Make a red circle in center of treat. While circle is still wet, add a round blue candy wafer. Working out from the circle, add a white ring, then red ring, etc. Add white star with white candy wafer. For Hawkeye: Cover treat in purple candy. Once purple is hardened, add black detail. Add black arrow (made from black candy melt) on top. For Ultron: cover treat in red candy. Once dried add gray/black face detail. You can get gray by mixing about 10-15 white wafers with 1 black wafer. For Vision: Add yellow V shape. Cover bottom in gray candy and top with purple candy. Add outline in black. 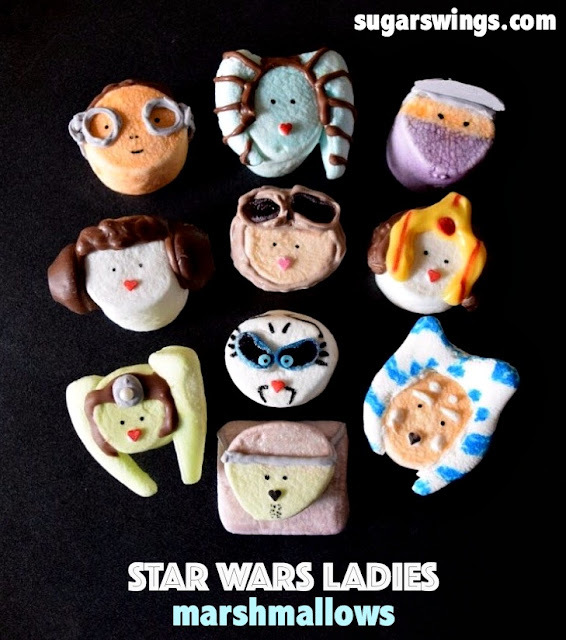 I cannot tell you how much my boys would love me if I made them these! Great job! thanks a lot! we are HUGE super hero fans here too! thanks for stopping by! 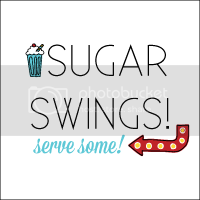 Saw this on the Made By You Monday link party. This would be a big hit with my boys. Pinning, Diane @ Mrs U Makes. I have big super hero fans here so definitely a hit here too, thanks Diane!